Louise C Muto, age 87, of Conneaut passed peacefully Wednesday evening November 14, 2018 at her residence. She was born Louise Carol Lalli on January 16, 1931, in Ashtabula, Ohio, the daughter of Michael A. and Carmela Piscitelli Lalli. She was a homemaker most of her life. 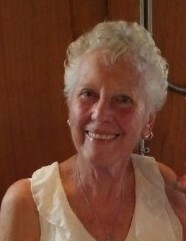 Louise was a member of Corpus Christi Parish, the Cara Mia Club, Conneaut Moose, Eagles Lodge and the Ashtabula V.F.W. where she loved to go dancing with her friends. Louise also loved to play cards with her girlfriends, bingo, bowling, crafts, crossword puzzles, sewing, crochet and swimming. She was a very active member at the Conneaut Human Resources Center where she would go almost every day. She was preceded in death by her parents, her husband Edward Muto, brothers Michael Lalli and Joseph Lalli. Louise is survived by her children Gina (David) Ritchie , Carmen (Tracey) Patriarca, Victoria (Patrick) DiChiro, Bonita (David) Hayes, 8 grandchildren, Matthew (Sonya) Hayes, Carley Crawley, Mallory (Nicholas) Aliff, Niki Patriarca, Alex Ritchie, Krista Ritchie, Becca Ritchie, Natalie DiChiro, and 8 great-grandchildren, Kaelyn, Hunter, & Maddox Crawley, Julia & Kara Hayes, Jackson & Rosalyn Aliff, and Carmella Patriarca; a sister, Janet Lalli Church, and sister-in-laws, Dolores Lalli and Evelyn Lalli and many nieces and nephews. In keeping with Louise’s wishes, no calling hours will be held. A Celebration of Louise’s Life will be held by the family in the near future. If you wish to make a donation in honor of Louise, please submit it to the Conneaut Human Resource Center.